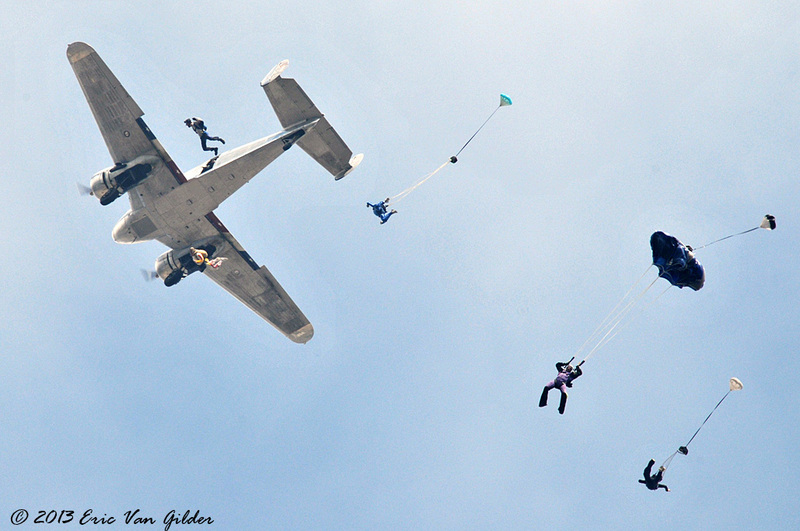 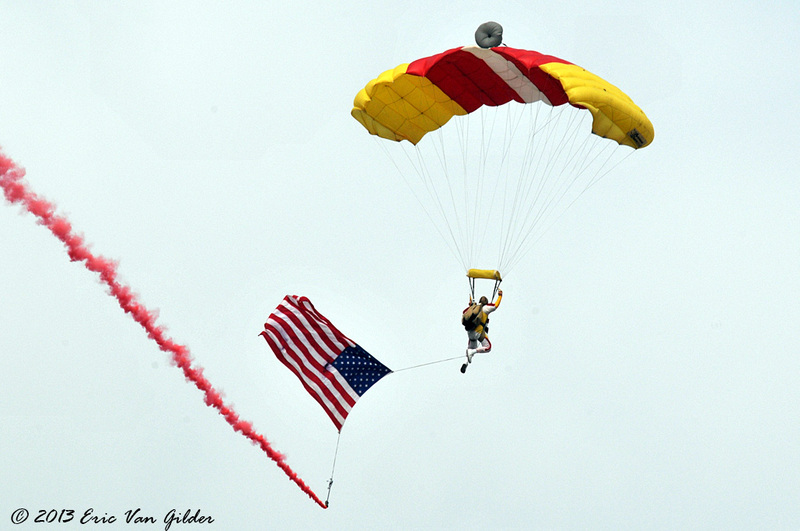 The Just in Time Skydivers performed 2 jumps at the Riverside Airshow. 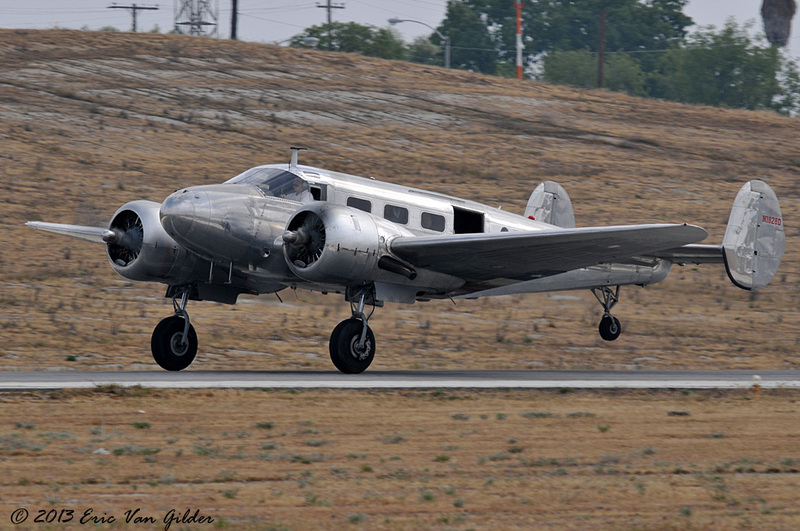 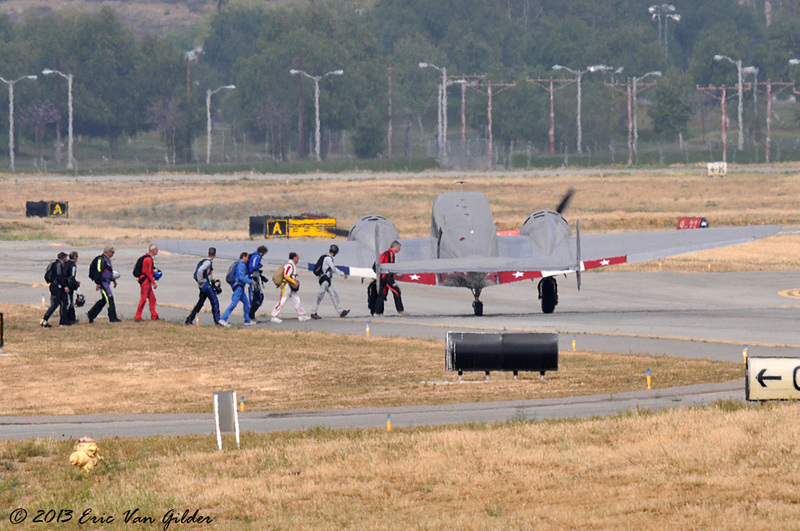 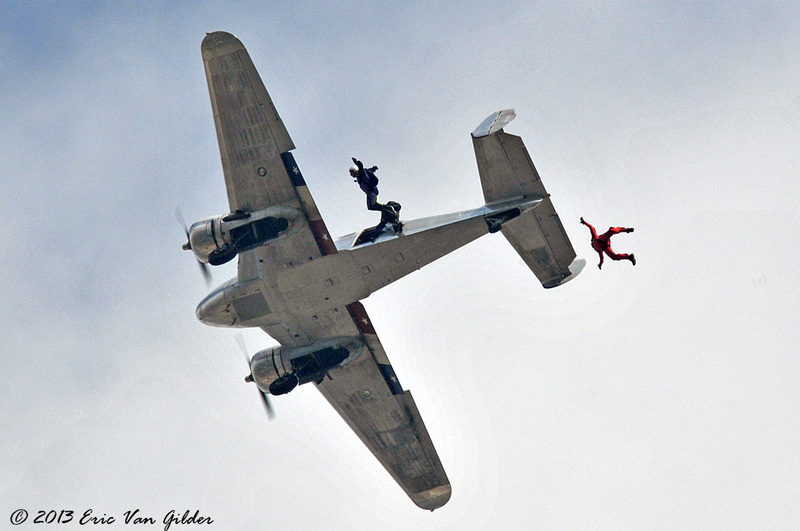 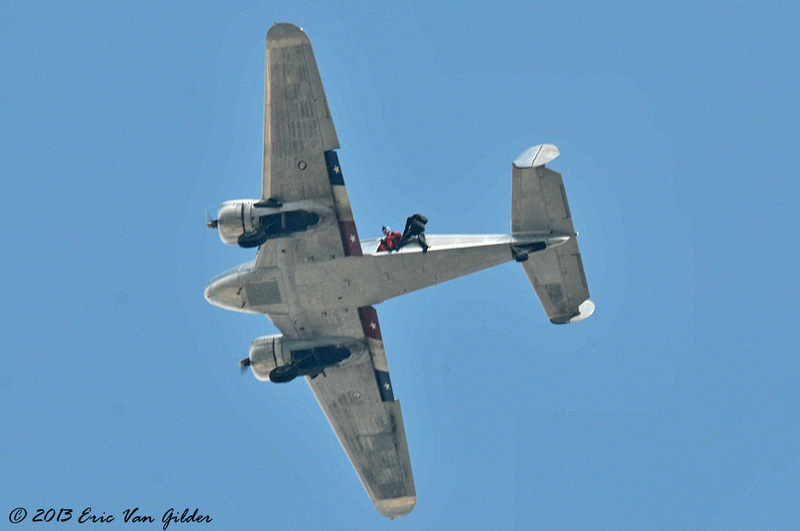 The morning jump was from a low altitude with multiple jumpers jumping from the Beech 18 jump plane. 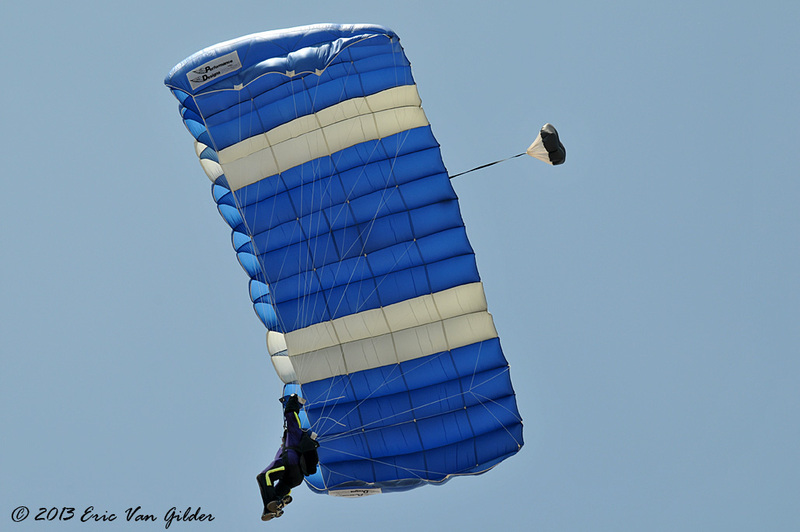 They jumped from a higher altitude in the afternoon and performed an aerial link up before breaking up to deploy their parachutes and land.